If you were under the impression that only adults or elderly can have problem of acid reflux you are mistaken, infants and young kids too can suffer with this problem. One should be careful if symptoms of acid reflux accompany blood in stools, stunted growth and recurrent vomiting along with coughing as this indicates problem of serious nature. As long as growth of child is not affected and he or she is consuming food in sufficient quantity acid reflux is not a serious problem to deal with. There are few effective and safe home remedies for acid reflux in babies which can resolve the problem in a short time. Children show signs of reflux due to un-matured muscles of esophagus and sphincter which allows matter of stomach to flow back in food pipe. With age these become strong and problem subsides. 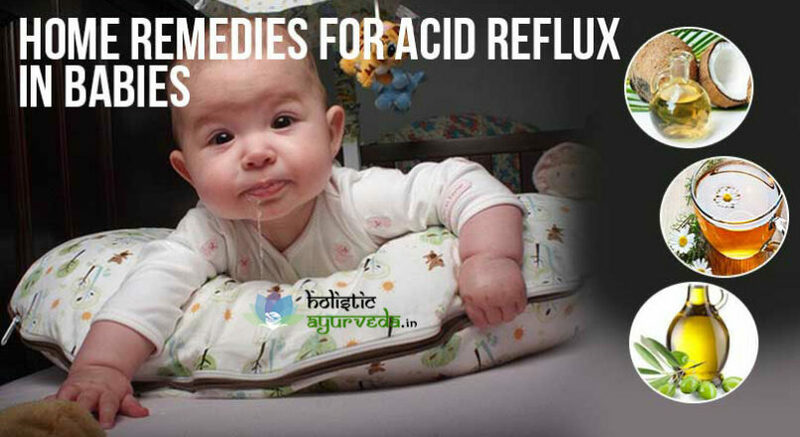 Here are few natural remedies for acid reflux in babies and infants which prevent problem from occurring efficiently. If your baby is spitting often or frequently probably he is suffering with reflux. The first step and one of the basic acid reflux in babies remedies is to correct his sleeping position. Elevate the bed or crib by 30 degree from head side. This will prevent stomach content to flow back into food pipe while baby is asleep and will help digestion. When child’s head is at same level of stomach or below than stomach due to poor muscles of esophagus and less active sphincter matter flow in food pipe and hinders breathing which causes vomiting or spitting of food. In most of the cases correct sleeping position resolves the problem. If baby is one year or older apple cider vinegar can be given as acid reflux in babies remedies. Make a very diluted mixture by adding just one-fourth teaspoon of ACV to a glass of warm water. Give him two teaspoons full at a time 2-3 times a day. Apple cider vinegar will also prevent other digestive problems which children face at young age like infestation in stomach etc. and also suppresses acid reflux. You can also add honey in same quantity as that of ACV to enhance flavour and efficacy of mixture. Honey and ACV in small quantity are safe for children. Coconut oil provides few useful home remedies for acid reflux in babies. You can add half or one teaspoon of extra virgin coconut oil to cereals or other foods of baby to improve digestion and prevent reflux. If baby is on mother’s feed lactating mother can include coconut oil in her diet. Consume two tablespoons of coconut oil during the day to support child’s digestive system and prevent problems like acid reflux. For infants you can prepare a mixture by add few drops of ginger oil to a tablespoon of coconut oil. Massage baby’s stomach and back with this mixture regularly. This will aid digestion and also improves his muscular control and performance of sphincter to suppress the problem. If sleeping position has not helped much perform massages in addition to it. Massages are excellent acid reflux in babies remedies and also very useful for faster and proper growth. Massages with correct technique stimulate child’s brain functions and also improves various respiratory and digestive processes. Put your baby in lying position and apply mildly warm olive or coconut oil over his entire stomach. Massage his stomach gently in clockwise direction for 3 or 4 minutes. Later flip him and massage his back for 2 minutes. Now move on to his limbs and mater head. This will help in improving muscular control over esophagus and also blood flow in the body. 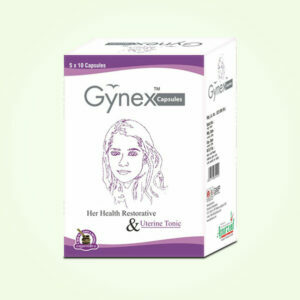 It also improves digestion and brings sound sleep to promote faster growth. Chamomile tea is good for child in small quantity. It controls reflux, brings sound sleep and is effective antispasmodic and pain-reliever. Add two teaspoons of chamomile flowers to a glass full of boiling water. Let the flowers steep till mixture comes down to room temperature. Give one or two teaspoons of this diluted tea after straining during the day. If child is feeding from mother, then lactating mother shall drink 1 or 2 cups of chamomile tea during the day. Chamomile flowers are safe and effective natural remedies for acid reflux in babies. Massages with a mixture of olive oil and peppermint oil also work as very effective home remedies for acid reflux in babies. Add two drops of peppermint tea to a tablespoon of olive oil and massage baby’s stomach, back and later limbs regularly to resolve the problem. Nursing mothers can drink 2-3 cups of peppermint tea to treat problem of reflux in infants. Exercises are very important as these promote growth and keep baby calm and healthy. Perform certain exercises if baby is throwing up eaten food. Keep him in lying position and move his legs alternatively as if he is cycling, move his legs for about 5 minutes every day. Another exercise is knee bending, perform with both legs simultaneously while baby is in lying position. Bend his knees to bring towards his chest and straighten. Perform gently for few minutes every day.